Some light entertainment for once, join us in watching Hacking with Ramzi a joke by Thebrokencrew from back in the day – get some cool ware-eez. The government better watch out, RAMZI IS IN THE HIZZOUSE. Not only is it old, but it was lame when it was new. I don’t recall this one, but Hacking with Ramzi was from thebroken.org. There was also valid stuff there, if anyone wants to check it out. yea, hacking with ramzi is from thebroken , currently linked at http://revision3.com/thebroken. 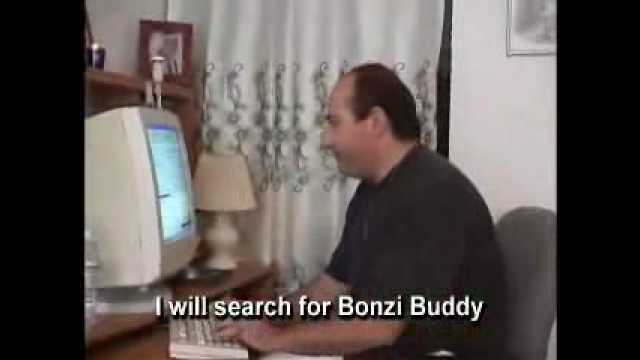 i gotta admit though , the short portions of it with ramzi being lame was just hilarious. heres something that they wrote at the site regarding those videos. thebroken is an underground technology show with a hacker mentality that caters to the elite (or wannabe 1337) computer user using a mixture of seriousness and irreverent comedy. Too bad thebroken fell apart. Their stuff was a blast to watch. theBroken was a good show.